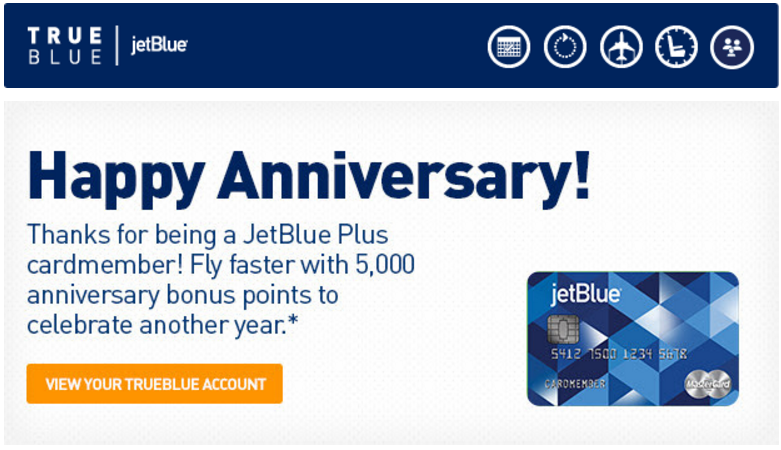 Jet Blue Plus anniversary bonus: awesome! Some may not know that the JetBlue Plus card comes with a variety of benefits: a sign-up bonus of 30,000 points, 6X the points when you pay for JetBlue plane tickets outright, as well as your first checked luggage free of charge. What some may not remember or realize is that you also get 5,000 points at each anniversary! As The Points Guy values these points at 1.2 cents/point, that means you are getting back $60 of worth back every year. So, essentially, after flying roundtrip only once per year this card because completely worth it. I recently had the pleasure of booking a number of flights to/from Florida in the Fall and only spent around $30 in taxes + fees because of this card. I’m definitely keeping it for next year!